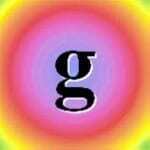 This post was originally published on October 22, 2008. It was substantially revised and re-posted on July 14, 2014. Take a sensational television series and a pair of football heroes, add some Irish style, and no wonder today’s choice has become a huge hit. Thanks to Another for suggesting Payton as our Baby Name of the Day. Payton is popular. Wait, should that be Peyton? And is this name meant for a son or a daughter? Let’s start with the name’s origins. Both the ‘a’ and ‘e’ spellings appear as surnames as early as the 1200s. They could be place names, in which case the -ton means town, and the first syllable probably comes from an old Anglo-Saxon name. This puts Payton in the same category as Boston, and lots of other possibilities. Or maybe Payton is an Anglicized form of Irish surnames like Ó Peatáin, son of Patrick. If that seems like a stretch, remember than -an is a favorite diminutive form in Irish names – think Aidan and Ronan. Paetan was the equivalent of Patty. In the late 1800s, both Peyton and Payton appeared on the fringes of the US boys’ Top 1000, along with lots of surname names. But it took some twentieth century exposure to boost Payton to the mainstream. 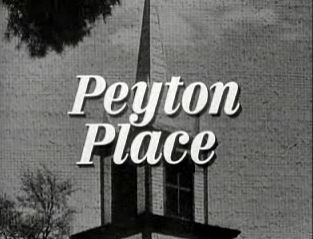 Peyton Place debuted on US television in 1964. It was a sensation, and ran for five seasons. Based on a 1956 novel, the series was the first successful prime time soap opera in the US. There’s the tiniest uptick in girls given the name during the series’ run, but for the most part, Peyton remained a location and surname, sometimes heard on boys. Running back Walter Payton was part of the dominating 1980s Chicago Bears. Super Bowl MVP Peyton Manning, brother to fellow QB Eli and son of coach Archie, has been playing in the NFL since 2008. The influence of well known sports figures helps the name remain a masculine possibility, just like Jordan. The first major female Peyton was Rebecca DeMornay’s scary nanny character in 1992’s The Hand That Rocks the Cradle. That year, Peyton entered the US Top 1000 for girls at #583 – quite the debut – with Payton also charting at #704. Television series like One Tree Hill and CSI: NY have used the name for female characters, too. For years, both spellings were gaining for both genders. In 2007, Peyton ranked #121 for girls and #125 for boys, while Payton was #152 for girls and #278 for boys. In numbers, that translated to around 5,000 girls and just over 4,600 boys – nearly even. Today the story has changed. As of 2013, Payton charted at #525 for boys and #122 for girls, while Peyton was #208 for boys and #51 for girls. Give this one to the girls – more than three times as many girls were named Payton or Peyton in 2013, over 7,100 girls to just about 2,300 boys. While Payton is going strong for girls, the name has petered out for boys. And yet, enough boys received the name in its heyday that it would be tough to call this one exclusively feminine. There are more interesting surname names and Irish heritage picks out there, but this one remains a possible way to honor a Patrick – or a Patricia. Which spelling do you prefer: Payton or Peyton? And does this feel like a modern staple, or a trendy name destined to fade? Totally a boys name… The name was popularized in the US by Peyton Manning as his football career excelled. Compare the dates against his championship games and you’ll see the trend. I think Payton is a female name, but I heard it on a girl first. The Payton I know has a twin sister named Hayden, I think that’s a girly name too. I know what you mean, Rach. The first Parker I met was a girl. She’s my son’s age – so 10 or 11. Even though I know Parker is MUCH more common for a boy, I’ve yet to meet a boy Parker. So meeting that girl Parker years ago always make me see it as perfectly reasonable on a girl. Not my style of name, as I prefer more obviously gendered names. Seems more trendy than a modern staple to me. That’s right – Rebecca DeMornay’s psycho nanny character! She’s Peyton – and since the movie came out in 1992, that explains Peyton’s popularity for girls. The name first charted in 1992, and climbed 300 spots in five years. (My personal benchmark of a hot name.) That’s crazy, though – who would want to name their darling daughter after a vengeful madwoman? Corinne, poor Paightonn! I tend to think of Payton/Peyton as a trendy name that wouldn’t hamstring a child – it would just allow virtually anyone to guess her year of birth! Plenty of Barbaras, Lindas, Lisas, Jennifers and Jessicas have endured the same. But that’s a doozy of a spelling. And Navayah? Wow. I can’t even react. I don’t really care for Payton, but I have a 7 year old cousin (a girl) with that name. She spells it that way too, not the more common Peyton. Either way, it is masculine to me and also screams Soap Opera character. I am not a fan of gender neutral names or anything trendy. Different spellings don’t do any favors for me either. They aren’t any more unique. They just look illiterate and will cause a bunch of problems later on. I prefer something either classic or unique, not too over the top like Depressed Cupboard Cheesecake though. And yes I’ve seen this one on Y!Answers several times. Poor kid! I know a little girl named Im’Unique (I’m unique. so unoriginal) and that kid hates her name. Sure she’s a unique child, but did her parents have to be so damn stupid? I also knew a little girl when I was living in Florida who’s name was Venus. I felt so bad for her. Lola, I really like Alison too. It is alot better than George/Georgie for a little girl. George is a male name, and Georgie doesn’t make it any more girly. One of my grampa’s cousins is named George and he goes by Georgie. Georgianna is better for a girl than George if she has to go that route, but I still like Alison better. I actually really like Peyton for a girl, not that I would ever consider using it, but I think it’s cute. In 2005 my friend considered Peyton for her daughter, but settled on Mackenzie instead (mmhmm). I think Peyton is at least more original than that. Payton? Blech. I don’t mind Peyton on a boy but all other spellings? Nope. I don’t just dislike them, I loathe them. And I don’t use loathe lightly. The only gender neutral I know personally is a Jordan who goes by Jordie and she’s been thinking about changing her name recently. Just turned 30 and is so tired of being taken for a guy. It doesn’t help that she’s pregnant and considering George, nn Geordie. 😆 Yeah. So she’s really looking into it. I asked the other day, she siad she’ll probably go with Alison. Which feels like Jordan but is obviously feminine. I like her choice and if she’s that uncomfortable, I’m behind her all the way. Oh, I meant to add that I know someone who named her daughter Madison in 2006 and is planning to name her next one (due this January) McKenzie. Hm. Hey, you left out the Hayden connection – which gender does that one belong to? Thanks for looking into this phenomenon for me. I still don’t get it, but oh well. The first Payton (or was it Peyton?) I was aware of was Rebecca DeMornay’s character in The Hand that Rocks the Cradle. To me it’s a female name just because I heard it on a female first. I quite love Payton/Peyton, and prefer the ‘a’ version, but would never use them, because they’re so popular and androgynous. […] Gentry’s gender under TBD. […] shares a playground with Emma and Sophie. […] sure what to do with respellings that imply a slightly different sound. […] Paxon, Paxtin, and Paxson all feel vaguely pharmaceutical, but they’re in use. […] can also hear her voice in Disney’s Alice in Wonderland.